Collecting notes, performing background checks and engaging in basic research are just a few of the everyday tasks that detectives and investigators do while out in the field. 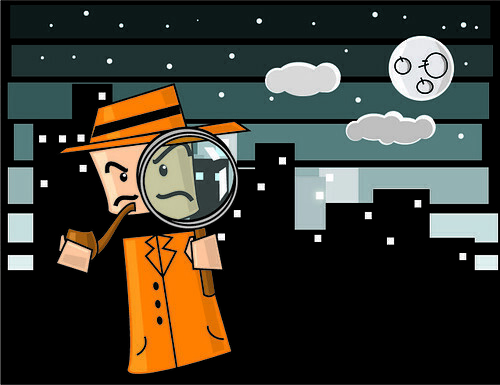 With so many different forms of detective work being performed by investigators, it can be difficult to know exactly what will be needed at any given time – so it makes sense to have as many resources on-hand as possible. Thankfully, technology is assisting this process through the proliferation of mobile applications. In the following article, we will be outlining four apps that can help detectives find the basic information they need to perform their duties while also staying organized and on-task. Available for iPhone and Android devices, BeenVerified’s Background Check app is a great way for detectives to verify stories and ensure people are who they say they are. With one free background check included each month, you can quickly determine whether a person has committed prior crimes, what social networks they are using and access property records. BeenVerified’s paid service allows for unlimited background checks – something most detectives will need in order to be successful. Whether you are investigating someone’s past employers or tracking down the habits of a potential cheater, the BeenVerified app can assist in corroborating stories. This app is an evaluation of the full product, including seven free days of use to allow you to verify its quality. The Document Scanner app allows users to quickly add receipts, court documents and any other records to its database, where each will be stored as a PDF file. Not only can you quickly organize any and all files while on the go, but you will also have options to share these files via the cloud on services such as Dropbox and Google Docs. With options for uploading documents in colour and black & white, you can ensure that the best quality is captured for each document. The Document Scanner Trial app can be found on both Android and iOS devices. Billed as an app that offers ‘augmented reality’ the Layar app (Android, iOS, Blackberry, Windows Phone) is a free service that allows you to add notes, files and other items to an interactive layer that is accessible via your phone’s camera. Simply open the app, access the layer and you will see notes for any location or case in front of you, as they are imprinted upon the physical location being viewed via the camera. Particularly helpful for criminal investigations, you can re-create the scene of the crime by adding a variety of datasets and pieces of evidence to clearly document what occurred. Available on iOS and Android devices, WhitePages is a traditional yet modernized way of tracking down people when basic searches do not yield results. Not only can you find individuals’ phone listings, but you will also have access to business records and reverse phone lookup options. The Premium Phone Number Search option allows users to find more difficult contact information such as mobile numbers, something any detective can appreciate. Today’s featured writer, Jenny Wadlow, is a freelance blogger. A student of law, she aspires to be one of the top criminal defense lawyer in Frankston in the future. Through her blogs, she writes informative posts on topics related to criminal law and investigation. You can follow her on twitter @JennyWadlow.